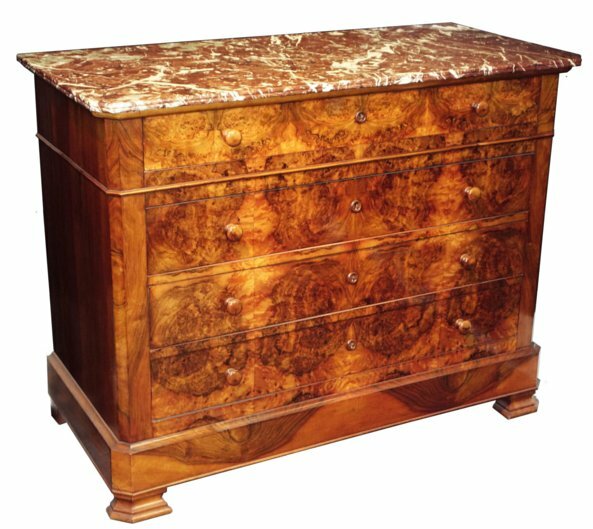 Burr walnut with 4 drawers. Marble top. H: 40" x W: 51 1/2 " x D: 24"